OnePlus’s latest phone has now launched, and it’s time to compare the OnePlus 6 vs iPhone X and see which device comes out on top and is worth the buy. For better or for worse, the iPhone X has taken the smartphone industry by storm and a number of Android handsets are starting to emulate the X both in terms of design and features. As such, it makes sense to compare the OnePlus 6 vs iPhone X and see which device is the top pick. The iPhone X will be difficult to unseat, but the OnePlus 6 is certainly a capable device that offers another flagship to the lineup of premium Android phones. In terms of design, the OnePlus 6 vs iPhone X comparison is pretty cut and dry. It seems as if the OnePlus 6 takes heavy inspiration from the iPhone X with the inclusion of the Notch. While the OnePlus brand previously focused on creating inexpensive phones that still retained high-end functionality, the goal with the OnePlus 6 is to work on offering a truly premium device at a more mid-range price. While the phones aren’t nearly as inexpensive as they were in the past, it may actually be a decent competitor to the iPhone X with its souped up design and specifications. With that said, the iPhone X is the clear winner in terms of design, as it does feature a little bit more of a premium construction and implements the Notch technology a little more seamlessly. One way that the OnePlus 6 vs iPhone X comparison swings in OnePlus’ favor, however is the fact that the phone retains the headphone jack while it’s gone completely on the iPhone X. This is a sticking point for many who miss being able to use their existing headphones with their devices, so the OnePlus 6 may be better for those users. The OnePlus 6 vs iPhone X screen is a little bit of a closer game, with both of them featuring an OLED display that offers some seriously beautiful picture quality. The display on the OnePlus 6 actually has a significantly bigger display, however, coming in at 6.28 inches versus the 5.8 we saw with the iPhone X. The bigger display area is a major benefit when comparing the OnePlus 6 vs iPhone X as it offers more real estate for media. With how many people are using their phone as their primary way to surf the web and watch videos, it definitely makes the OnePlus 6 a more attractive option. All in all, while both phones offer beautiful displays, the OnePlus 6 comes out ahead due to the bigger size. Perhaps the biggest difference when comparing the OnePlus 6 vs iPhone X is the fact that the X features FaceID technology while it’s absent on the OnePlus 6. The secure and convenient method to unlock your phone just by looking at it is a feature that, while seeming odd at first, has become a facet that has been difficult to go without. The OnePlus 6 does have some advantages, however, such as the Dual-SIM support. While having multiple SIM cards is not as big of a thing in the West, it will make the OnePlus 6 much more attractive as a high-end flagship in Asian companies where it’s common to have these two different chips. The unique FaceID technology means a little more than Dual-SIM support in our books, so the iPhone X comes out ahead in terms of features. Perhaps one of the greatest considerations for most users when upgrading to a new phone is whether the phone will be powerful enough to handle all the apps, games, videos, and web browsing that a phone is used for over the course of its life. It’s a little bit difficult to compare the OnePlus 6 vs iPhone X in terms of performance, as the iPhone X uses Apple’s own proprietary hardware. With that said, both phones are looking as if they offer top of the line performance that will exceed expectations on pretty much any front. With the OnePlus 6 featuring the Qualcomm Snapdragon 845 and the iPhone X rocking the latest chip from Apple, it’s truly a toss up in terms of power when comparing the OnePlus 6 vs iPhone X. The OnePlus 6 vs iPhone X comparison in terms of cameras is much easier. The OnePlus 6 generally blows the iPhone X out of the water in terms of lens quality, with a 16 MP camera both in the front and rear of the device. The iPhone X, on the other hand, only has a 12 MP rear camera and a 7 MP lens in the front. While we’ll have to get our hands on the devices in order to determine how they perform when stacked up against one another, the specifications seem to suggest that the OnePlus 6 vs iPhone X battle is decided heavily in the OnePlus 6’s favor – at least in terms of camera quality. Considering the fact that these phones offer pretty similar specifications, it’s worth noting that the OnePlus 6 retails for around $520 while the iPhone X costs around $1000. A 100% increase in price for a phone with marginally better specs in a few areas is a little ridiculous if you’re looking for a phone with a good combination of power, features and value. Overall, while the iPhone X is better in a number of areas we have to say that the OnePlus 6 is the better buy due to how affordable it is in comparison to Apple’s device. 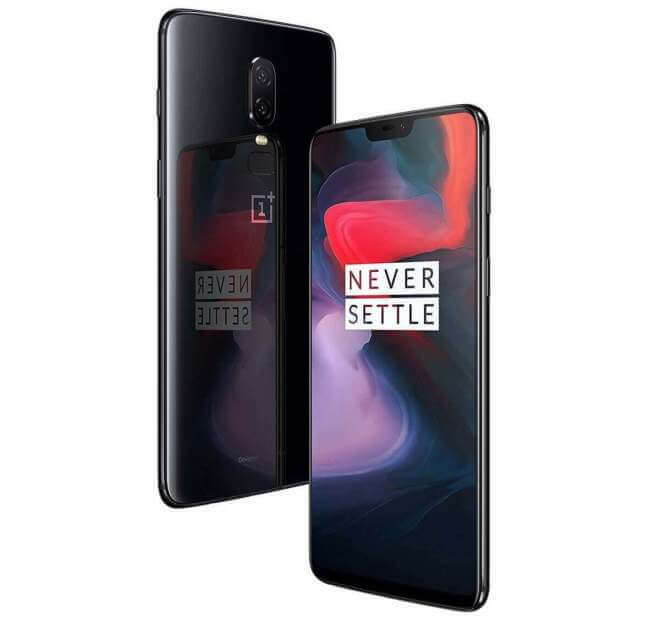 If the phones were comparable in purchase price it might be a little closer of a fight, but unless price is not a consideration for you at all we feel that the OnePlus 6 does come out on top.